We cannot think about sustainable development without having a clear agenda for cities. So, for the first time, the world has agreed – under the UN’s Sustainable Development Goals (SDGs) and the New Urban Agenda – to promote more sustainable, resilient, and inclusive cities. Achieving this ambitious target is highly relevant in the context of African cities, where most future urban growth will occur. But it is also a major challenge. Of the projected 2.4 billion people expected to be added to the global urban population between now and 2050, over half (1.3 billion) will be in Africa. The continent’s urban communities will experience dramatic shifts in living and place significant pressure on built infrastructure and supporting ecosystem services. As many cities are yet to be fully developed, newly built infrastructure (estimated to cost an additional US$30 to $100 billion per year) will impact their urban form (i.e. the configuration of buildings and open spaces) and future land use. In order to realize the SDGs, African cities, in particular, need an ecosystem-based spatial approach to urban planning that recognizes the role of nature and communities in enabling a more resilient urban form. In this regard, more comprehensive understanding of the dynamics between urban form and the social and ecological aspects of cities is critical. Unfortunately, research to investigate these relationships in the context of African cities has been limited. That’s why, as a Young Scientist at IIASA, I sought to address these research priorities, by asking the following questions: What is the relationship between urban form and the social and ecological aspects of African cities? How has form been changing over time and what are the exhibiting emergent properties? And what factors are hindering a transition towards a more resilient urban form? Fundamentally, my research approach applies a social-ecological system (SES) lens to investigate these dynamics, where resilience is defined as the capacity of urban form to cope under conditions of change and uncertainty, to be able to recover from shocks and stresses, and to retain basic function. At the same time, resilience is characterized by the interplay between the physical, social, and ecological performance of cities. Currently, Africa’s urbanization is largely unplanned. Urban expansion has led to the destruction of natural resources and increased levels of pollution and related diseases. These challenges are further compounded by inadequate master plans – which often date back to the colonial era in many countries – and capacity to ensure equitable access to basic services, particularly for the poorest dwellers. 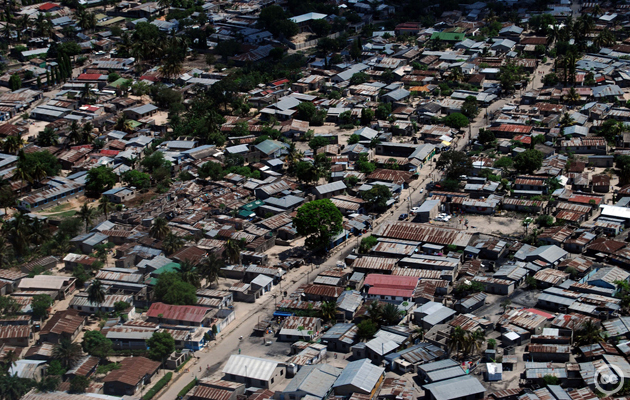 Consequently, over 70% of people in urban areas live in informal settlements or slums. My summer research focused on the specific case of Dar es Salaam, Tanzania, and Lusaka, Zambia – two cities with very different forms, and social and ecological settings. I used the SES approach to develop a more holistic understanding of the local dynamics in these cities and emerging patterns of growth. My findings show that urbanization has resulted in high rates of sprawl and slum growth, as well as reductions in green space and increasing built-up area. This has ultimately increased vulnerabilities to climate-related impacts such as flooding. Using satellite images in Google Earth Engine, I also mapped land cover and urban forms in both cities in 2005 and 2015 respectively, and quantitatively assessed changes during the 10-year period. Major changes such as the rapid densification of slum areas are considered to be emergent properties of the complex dynamics ascribed by the SES framework. Also, urban communities are playing a significant role in shaping the form of cities in an informal manner, and are not often engaged in the planning process. Approaches to address these challenges have been varied. 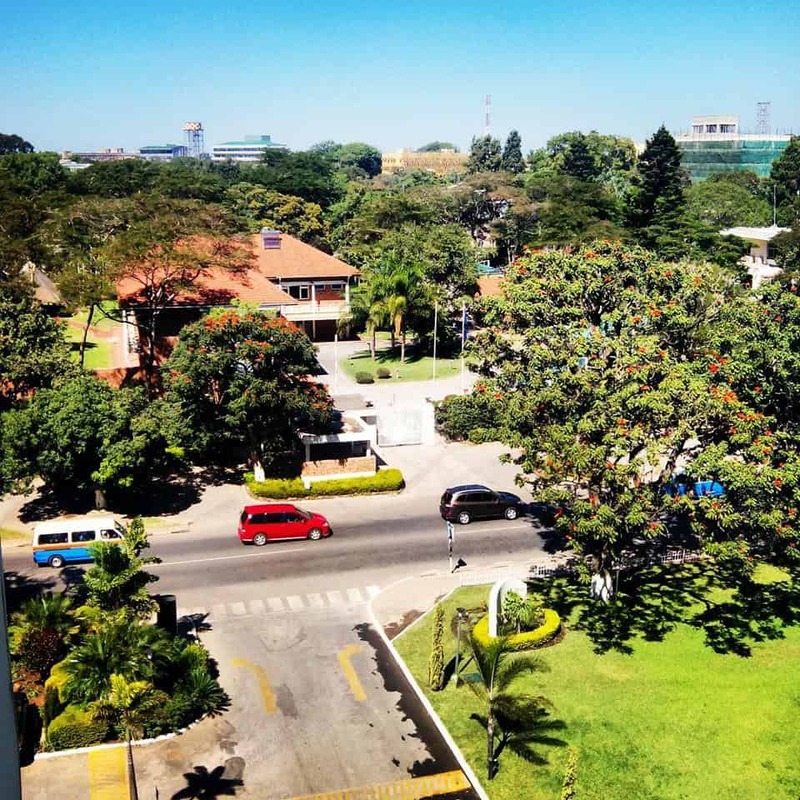 On the one hand, initiatives such as the Future Resilience for African Cities and Lands (FRACTAL) project in Lusaka are working to address urban climate vulnerabilities and risks in cities, and integrate this scientific knowledge into decision-making processes. One the other hand, international property developers and firms are offering “new visions for African cities” based on common ideas of “smart” or “eco“ cities. However, these visions are often incongruous with local contexts, and grounded on limited understanding of the underlying local dynamics shaping cities. My research offers starting point to frame the understanding of these complex dynamics, and ultimately support more realistic approaches to urban planning and governance on the continent. Cobbinah, P. B., & Darkwah, R. M. (2016). African Urbanism: the Geography of Urban Greenery. Urban Forum. IPCC (b). (2014). Working Group II, Chapter 22: Africa. IPCC. LSE Cities. (2013). Evolving Cities: Exploring the relations between urban form resilience and the governance of urban form. London School of Economics and Political Science. OECD. (2016). African Economic Outlook 2016 Sustainable Cities and Structural Transformation. OECD. The Global Urbanist. (2013, November 26). Who will plan Africa’s cities? Changing the way urban planning is taught in African universities. UNDESA. (2015). Global Urbanization Prospects (Key Findings). Watson, V. (2013). African urban fantasies: dreams or nightmares. Environment & Urbanization.